Bear is a sweet boy who we estimate to be about 5 years old and looks to be a Newfoundland or Flat Coated Retriever mix. 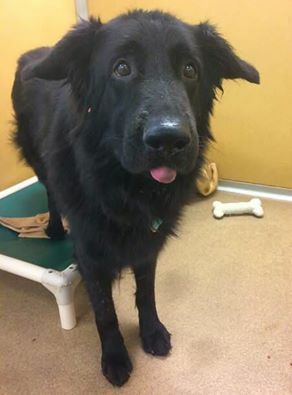 Bear was surrendered to the MCSPCA when his owner could no longer care for him but has high hopes he’ll find his forever family! Fuzzy Bear enjoys relaxing and being pet and loves cookies! We are OPEN, stop in to meet Bear and all of the other adorable, adoptable animals waiting for their happy endings! For more information, email adoptions@monmouthcountyspca.org or call 732-542-5962!